The uncertainty over control of the Alaska House continued Tuesday, the first day of the legislative session. That became clear when Lt. Gov. Kevin Meyer tried to start the process for swearing in Sharon Jackson, Gov. Mike Dunleavy’s nominee to fill a vacant House seat in Eagle River. Meyer tried to recognize the Republicans’ pick to lead the House, Rep. Dave Talerico of Healy. 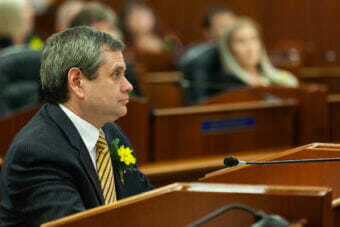 But Anchorage Democrat Chris Tuck objected. The path for getting the House in order isn’t clear. The House needs 21 members to form a majority. Without a majority, the House can’t form committees or introduce bills. Without Jackson, there are 19 members who want a Republican-led majority. And there are 19 members who support the former, mostly Democratic coalition. Kenai Republican Rep. Gary Knopp wants a majority with a balance between members of both parties. Without an agreement on what to do, the House recessed until 5 p.m. After briefly convening, the House adjourned until 1 p.m. Wednesday. By comparison, the Senate’s first day went smoothly. 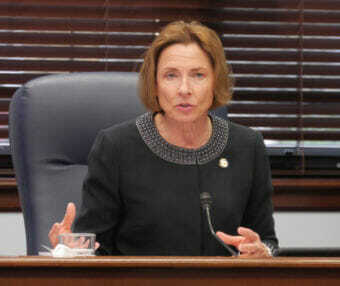 Sen. Mia Costello put forward the name of fellow Anchorage Republican Sen. Cathy Giessel to lead the chamber. “I move and ask unanimous consent that Sen. Giessel be nominated as president of the Senate for the 31st Legislature,” Costello said, and no one objected. Shortly after the Senate session, Giessel talked about the complexity of addressing issues like crime. 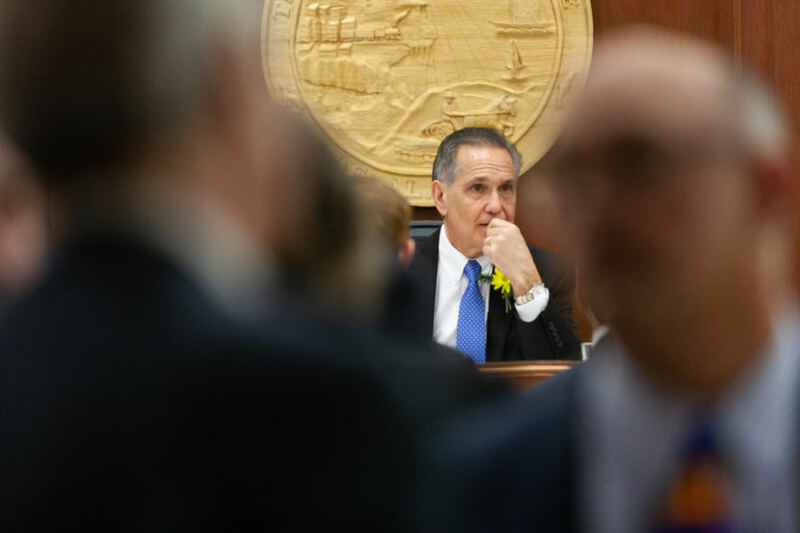 Anchorage Republican Sen. Natasha von Imhof said Dunleavy’s amended budget will be ready the second week of February. “We believe there’s going to be a reduction in administrative costs, merging some agencies and functions, diverting government services to the private sector and potentially scaling back social services,” von Imhof said. The Senate Finance Committee will meet Wednesday. But Giessel said the Senate will be constrained on the actions it can take until the House agrees on a speaker.